There is a special joy in bringing alive every day and every minute. There is a special pleasure in celebrating every moment of life. Presenting a diverse range of long lasting body deodorants for every occasion. This pleasant and cooling fragrance creates an aura of energy and builds a shield of confidence around you. Explore the entire range of Deodorants/Roll-ons available on Nykaa. 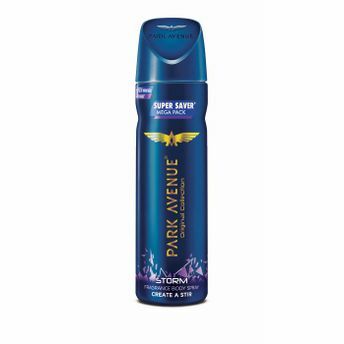 Shop more Park Avenue products here.You can browse through the complete world of Park Avenue Deodorants/Roll-ons .Alternatively, you can also find many more products from the Park Avenue Storm Deodorant Spray range.